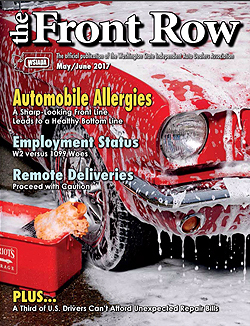 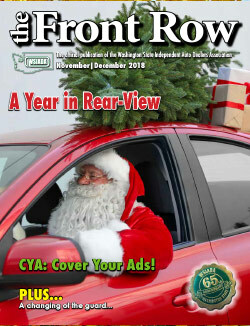 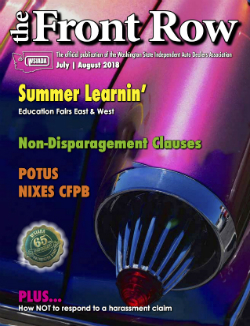 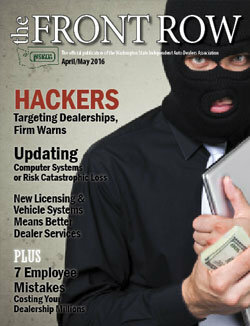 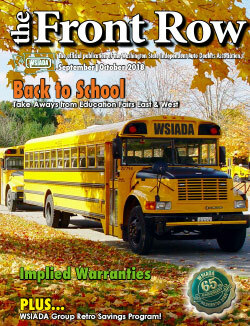 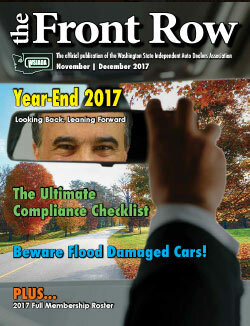 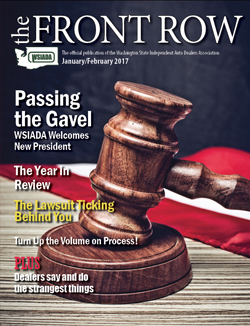 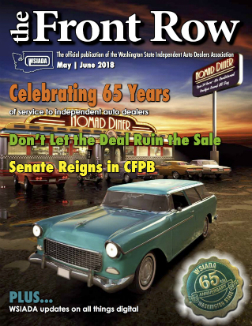 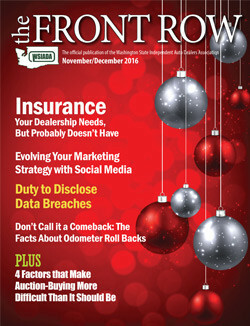 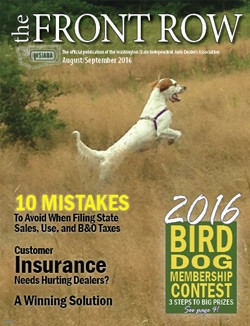 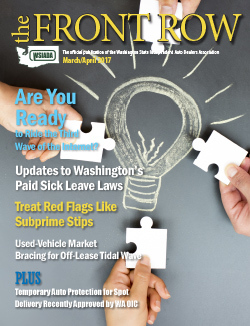 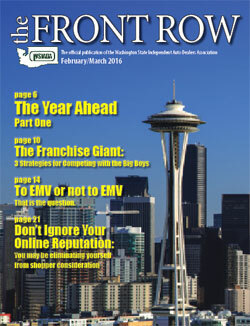 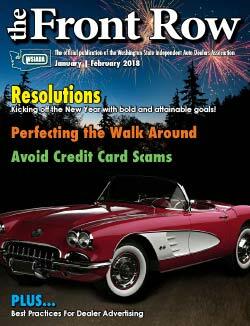 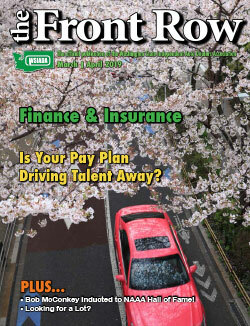 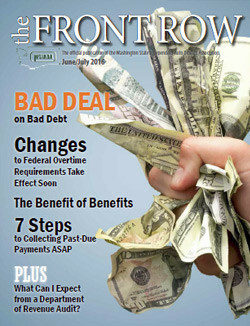 Washington State Independent Auto Dealers Association has published the Front Row magazine for over ten years. 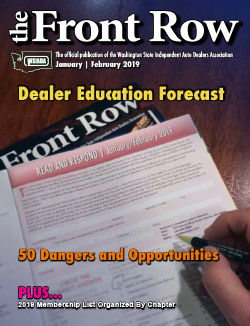 Dealers are given access to information that can assist in business growth, changes in Washington State laws and policies, and provide an opportunity for continuing education. 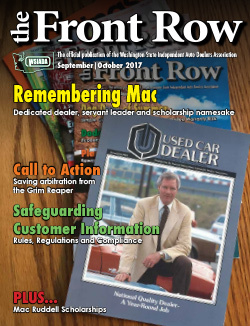 Every magazine contains a Read and Response quiz that dealers use as an option for their credits toward renewal throughout the year. 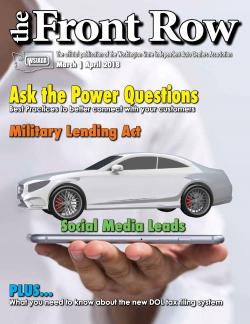 Dealers can download the magazine at anytime or you can take the quiz below. 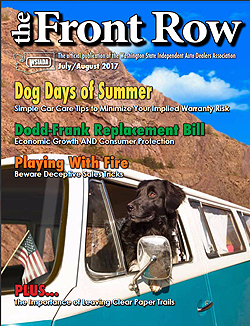 Each quiz is worth 1 hour of education credit toward the state requirement of 5 hours for a Dealers annual renewal of license.